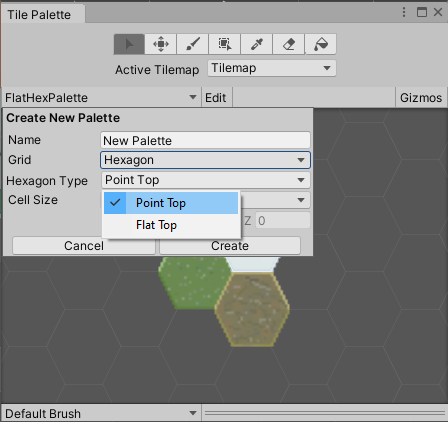 See in Glossary, Unity provides both Hexagonal Point Top and Hexagonal Flat Top Tilemaps. Hexagonal tiles are often used in strategic tabletop games, because they have consistent distance between their centres and any point on their edge, and neighboring tiles always share edges. This makes them ideal for constructing almost any kind of large play area and allows players to make tactical decisions regarding movement and positioning. 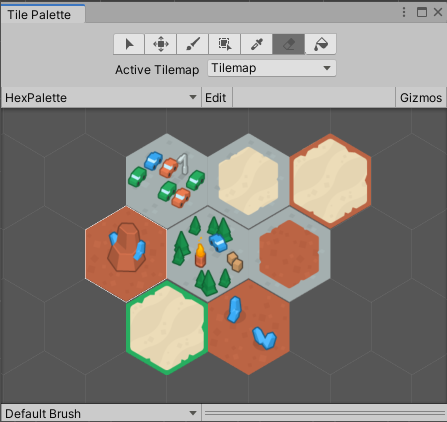 Select the Hexagonal Tilemap option that matches the orientation of the hexagonal Tiles you are using. 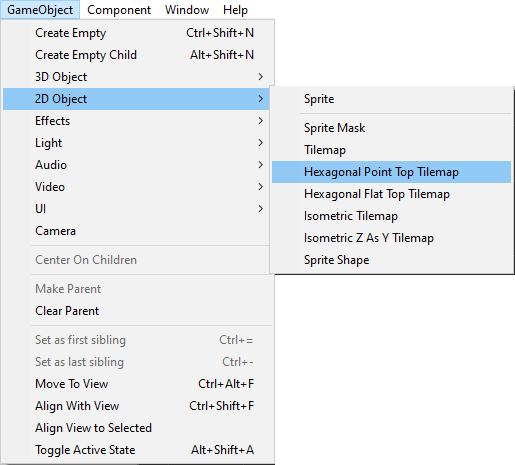 The following are examples of a Hexagonal Point Top Tilemap and a Hexagonal Flat Top Tilemap. 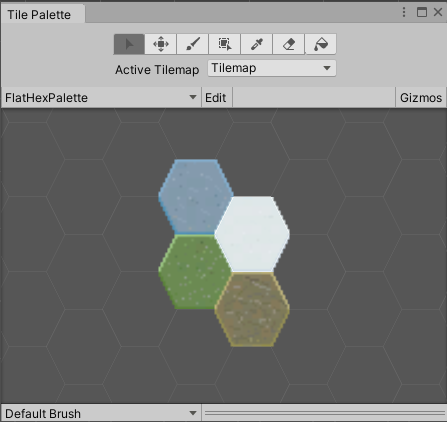 When creating the Tile Palette for a Hexagonal Tilemap, set the Grid setting of the Tile Palette to Hexagon and select the Hexagon Type that matches the Tilemap and Tiles you are using, as shown below.